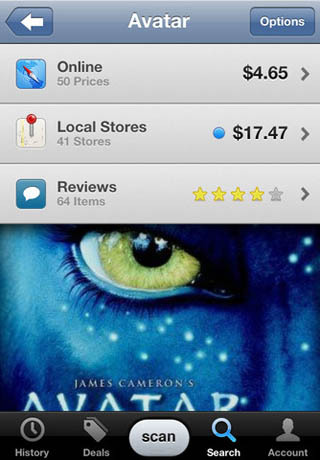 There are a number of useful barcode scanner applications for iPhone on the market.All of them help you find the best prices,deals and even compare prices of product prices immediately from thousands of online retailers. 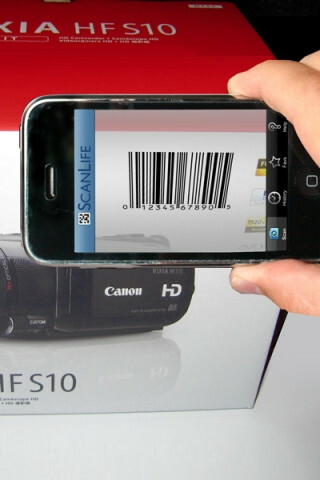 The usage is very simple.You just line up your camera with the barcode on the product and then take a picture of the barcode and the applications do the rest. 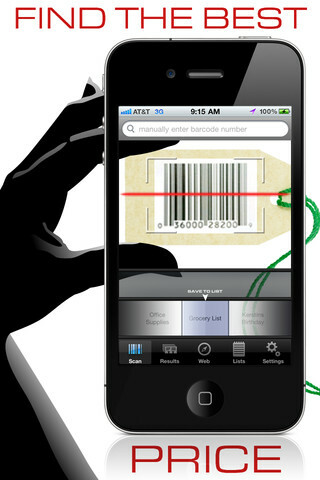 Today we bring together the best barcode scanner apps for iPhone.Most of them are free and some of them are only $0.99. 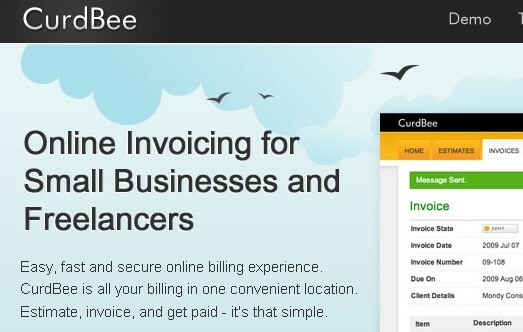 Here are the applications you should try. 1. Price Shopping: Just scan the product you are thinking of purchasing, and in seconds you get links and pricing from thousands of online retailers. 2. Replacing household or business items and/or consumables: When you run out of a product just scan it and in two or three clicks the least expensive replacement product is in route to you. RedLaser is a free scanning application for iPhone and Android that has been downloaded over 12 million times and has about as many uses.Scan with RedLaser and compare prices of products online and in store. RedLaser searches for the best prices with TheFind, Google Product Search, eBay, and Half.com.You can find stores in nearby,you can check food Allergens and nutrition.With RedLaser you can quickly scan all types of codes — QR codes, UPC, EAN, UPC-E, and EAN-8 (NEW!) barcodes. Simply hold your phone steady, align the code in the box etc. 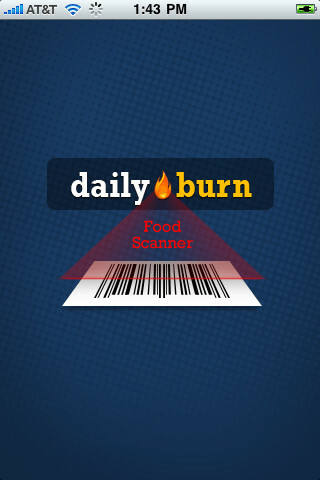 FoodScanner allows you to use your iPhone’s camera to scan UPC barcodes on the foods you eat. FoodScanner is the absolute quickest and easiest way to find foods and track how many calories you eat throughout the day. 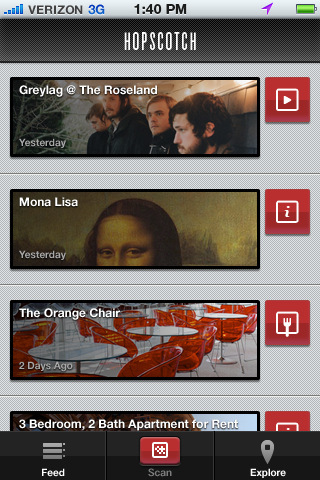 Hopscotch allows you to scan QR/bar codes and get relevant and personalized information about objects in the world. You can even leave comments for the objects you scan and then share it on your favorite social network. 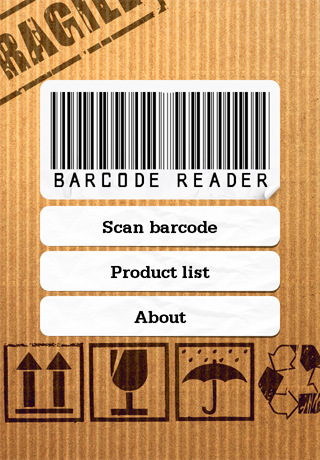 Take a photo of any printed barcode, and Barcode Reader will show you the lowest possible prices in local (US only) and online stores.It has iPad 2 support. 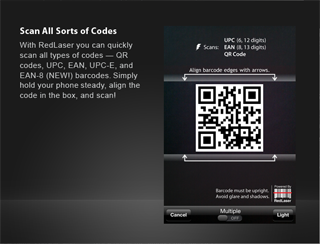 ScanLife turns your camera phone into a all-in-one bar code reader – one of the only apps that can scan QR Codes and UPC Codes found on products.Scans regular UPC/EAN barcodes from most products, like DVDs, books, and food to see comparison pricing, reviews, accessories and nutritional information (US only). You can even buy the product right from Amazon or over 25 other retailers. Take out your device and open the ShopSavvy app. Tap the “Scan” button, and point your device’s camera at the product’s barcode. You don’t need to “snap” a picture, just position the barcode inside the four “guide-corners” on the screen. Try to make sure you get the barcode close, but not too close to your device’s camera. Hold still for just a second, and the barcode will be recognized. 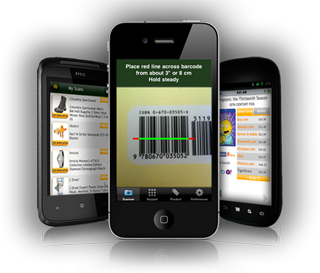 Shop, share and compare products with Scandit, a barcode scanning app that will help you shop smarter and save money. 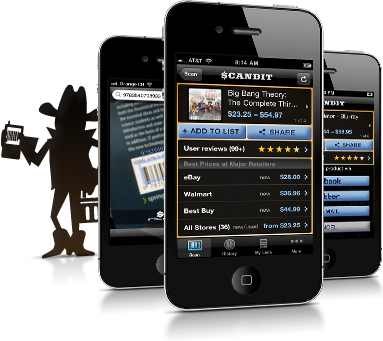 Scandit has been rated one of the top barcode scanning apps by iphone users.Scandit supports the iPhone 3G, 3GS and 4G, iPad2 and the iPod Touch 4G and requires iOS 4.0.